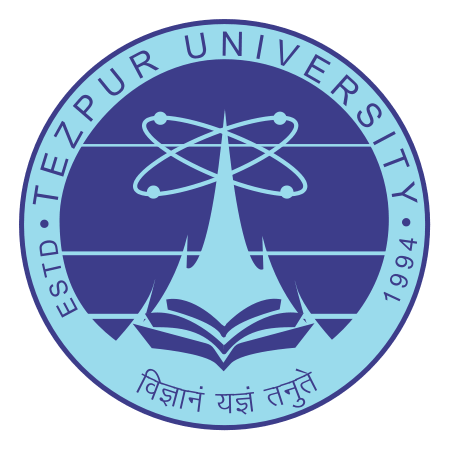 Tezpur University Recruitment 2019: Tezpur University / www.tezu.ernet.in is conducting recruitment processes to fill 2 vacancies. As of now, there is one recruitment drive going on for Walk in for RA & PA Posts. Tezpur University Recruitment 2019 - Apply Online for 12 Non-Teaching Posts in Tezpur University, Assam. Online Applications are invited by Tezpur University from 12 Feb 2019 at 09:00 AM to 13 Mar 2019 till 11:59 PM for 12 vacancies. Tezpur University Recruitment 2019 - Walk in for JRF/ PA Post on a project entitled "Computational Investigation on the membrane-induced self-assembly and aggregation of a-Synuclein" in Tezpur University, Tezpur, Assam on Temporary Basis. Candidates are invited by Tezpur University to attend walk-in-interview to be held on 28 Mar 2019 at 10:30 AM for 1 vacancy. Tezpur University Recruitment 2019 - Walk in for JRF Post on a project entitled “A Study of Navier-Stokes Equations with Navier Boundary Conditions” in Tezpur University, Tezpur, Assam. Candidates are invited by Tezpur University to attend walk-in-interview to be held on 04 Mar 2019 11:30 AM for 1 vacancy. Tezpur University Recruitment 2019 - Walk in for JRF Post on a project entitled “Earthworm Gut Microbes Mediated Carcinogenic Polycyclic Aromatic Hydrocarbons (CPAHs) Remediation in Contaminated Soil” in Department of Environmental Science, Tezpur University, Assam on Temporary Basis. Candidates are invited by Tezpur University to attend walk-in-interview to be held on 05 Mar 2019 10:30 AM for 1 vacancy. Tezpur University Recruitment 2019 - Walk in for JRF Post on a project entitled “Decentralized water treatment for removal of arsenic, fluoride, and mercury from drinking water” in Tezpur University, Tezpur, Assam on Temporary Basis. Candidates are invited by Tezpur University to attend walk-in-interview to be held on 28 Feb 2019 at 11:00 AM for 1 vacancy. Tezpur University Recruitment 2019 - Walk in for Computer Operator Post in Tezpur University, Assam on Contract Basis. Candidates are invited by Tezpur University to attend walk-in-interview to be held on 22 Feb 2019 at 10:00 AM for 1 vacancy. Tezpur University Recruitment 2019 - Walk in for JRF Post on a project entitled "Computational Investigation on the membrane-induced self-assembly and aggregation of a-Synuclein" in Department of Molecular Biology and Biotechnology (MBBT), Tezpur University, Tezpur, Assam. Candidates are invited by Tezpur University to attend walk-in-interview to be held on 22 Feb 2019 10:30 AM for 1 vacancy. Tezpur University Recruitment 2019 - Walk in for Conservator, TA & Asst Conservator Posts on a project entitled “Commissioning tasks pertaining to Preservation and Conservation of Manuscripts for National Mission for Manuscripts” in Tezpur University, Tezpur, Assam on Temporary Basis. Candidates are invited by Tezpur University to attend walk-in-interview to be held on 13 Feb 2019 11:00 AM for 3 vacancies.